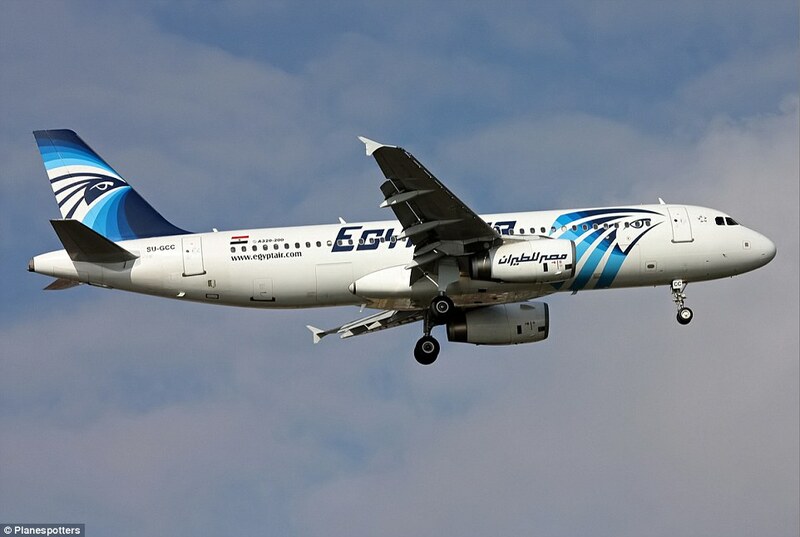 An EgyptAir flight from Paris to Cairo with 66 people on board crashed today after vanishing from radar – sparking fears of a terror attack. The Airbus A320 left the French capital's Charles De Gaulle Airport at 9.09pm GMT on Wednesday then went missing three hours and 40 minutes into its journey. Flight MS804 vanished 10 miles into Egyptian airspace around 40 minutes before it was due to land, with reports suggesting the jet crashed near the Greek island of Karpathos. A captain on board a merchant ship in the Mediterranean reported seeing a 'flame in the sky' while a French security official said a terror attack could not be ruled out. There were 56 passengers, including two babies and a child, and 10 crew on the flight. The nationalities included 30 Egyptians, 15 French, one British, one Belgian, one Iraqi, one Kuwaiti, one Saudi Arabian, one Chadian, one Portuguese, one Algerian and one Canadian. Devastated relatives wept and comforted each other as they gathered at Charles De Gaulle and Cairo Airports waiting for news of their loved ones. ----Terrible news, it hits close to home when there are passengers from the country you're in.